7 offers are currently pending. 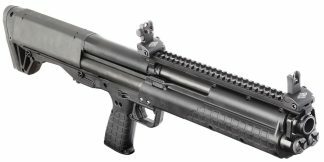 The Benelli M4 11715 12 Gauge Semi-Auto Tactical Shotgun is the combat service shotgun of the U.S. Joint Services today. The Benelli M4 is a unique, Auto-Regulated Gas-Operated (A.R.G.O.) semi-auto 12-gauge. The metalwork is chrome-plated, anodized or coated with heavy phosphate to prevent corrosion under the most grueling conditions. Benelli M4 is equipped with Ghost-ring night-sights for quick target acquisition day or night, it includes a picatinny rail for mounting scopes, sights, and optics. This Benelli M4 comes with a Extended magazine tube that will hold 7 + 1 with 2 3/4 shot-shells and a 3 position collapsible stock. Xtreme Guns and Ammo carries the full line of Benelli M4 11715 Tactical Shotguns In-Stock at all times. 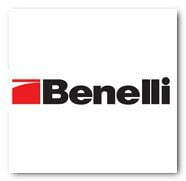 Feel free to call us at 832-363-3783 or chat with us during chat hours online with all you Benelli M4 questions and needs. Shop More Benelli M4 Shotguns Online at Huge Discount pricing!